PT PP Presisi Tbk - PP Presisi is a rapid growing public-listed construction service company in Indonesia with a core business competencies in heavy equipment rental industry. 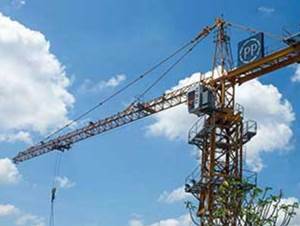 PP Presisi engaged in providing construction equipment rental and form work contractor for building project. PP Presisi has its business activities focused in 6 business lines of civil works, ready mix, foundation work, erector, formwork, and heavy equipment rental. PT PP Presisi Tbk is a company member of state-owned construction firm PT PP (Persero) Tbk (PTPP Group). PP Presisi is based in Jakarta and its head office is registered at Plaza PP, Wisma Robinson 3rd floor Jl TB Simatupang No 57 Pasar Rebo Jakarta Timur 13760. According to information found in PP Presisi's Company Profile as cited by JobsCDC.com, PT PP Presisi was first established in 2004 and initially registered as PT Primajasa Aldodua (PJA), a subsidiary company of Yayasan Kesejahteraan Karyawan Pembangunan Perumahan (YKKPP). Later in 2014, PJA was acquired by PT PP (Persero) Tbk and renamed into PT PP Alat Konstruksi (PP Alkon) and then renamed renamed to PT PP Peralatan Konstruksi. The name of PT PP Presisi officially launched on March 2017.PP Presisi was listed on the Indonesia Stock Exchange (IDX) on 24 November 2017, with trading code PPRE. At present, PT PP Presisi Tbk is 76.99% owned by PT PP (Persero) Tbk, 0.01% by YKKPP and 23% by general public and investors. Minimum graduate with Bachelor of Civil Engineering with GPA ≥ 3.00, preferably from state university. Minimum graduate with Diploma of Mechanical Engineering / Electrical Engineering with GPA ≥ 3.00, preferably from state university. Minimum graduate with Bachelor of Accounting with GPA ≥ 3.00, preferably from state university. Detail oriented and good teamwork. Fluent in English, both oral and written (minimum TOEFL score of 500). Minimum graduate with Bachelor of Psychology, Human Resource Management with GPA ≥ 3.00, preferably from state university. JobsCDC.com now available on android device. Download now on Google Play here. Please be aware of recruitment fraud. The entire stage of this selection process is free of charge. PT PP Presisi Tbk - D3, S1 Fresh Graduate Staff, Officer PTPP Group October 2018 will never ask for fees or upfront payments for any purposes during the recruitment process such as transportation and accommodation.